UN Plan: Access to clean drinking water by 2015. Roadmap Healthy water access is a world wide concern Integrated Water Resource Management is the solution. 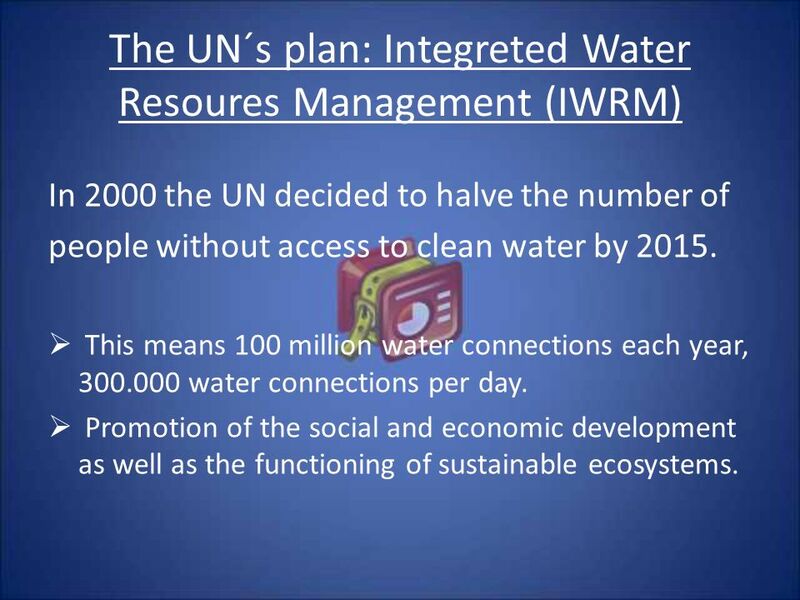 4 The UN´s plan: Integreted Water Resoures Management (IWRM) In 2000 the UN decided to halve the number of people without access to clean water by 2015. This means 100 million water connections each year, 300.000 water connections per day. Promotion of the social and economic development as well as the functioning of sustainable ecosystems. 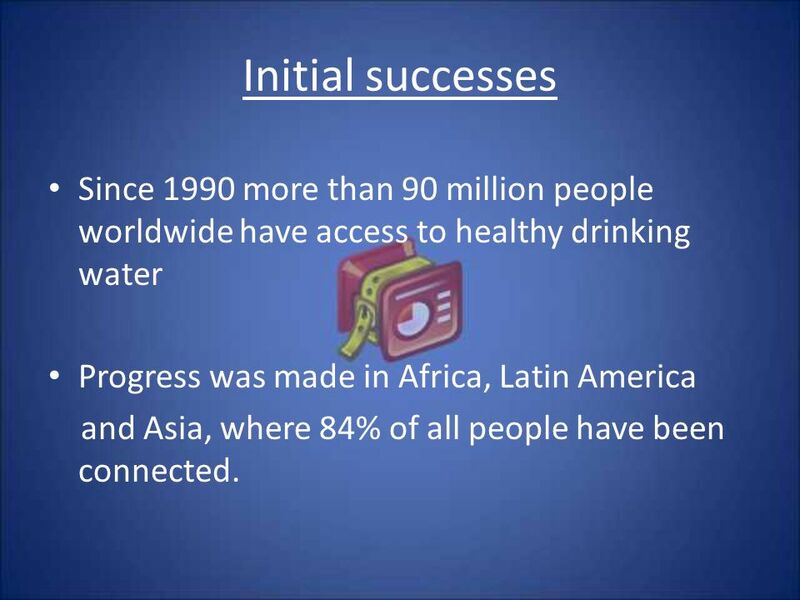 5 Initial successes Since 1990 more than 90 million people worldwide have access to healthy drinking water Progress was made in Africa, Latin America and Asia, where 84% of all people have been connected. 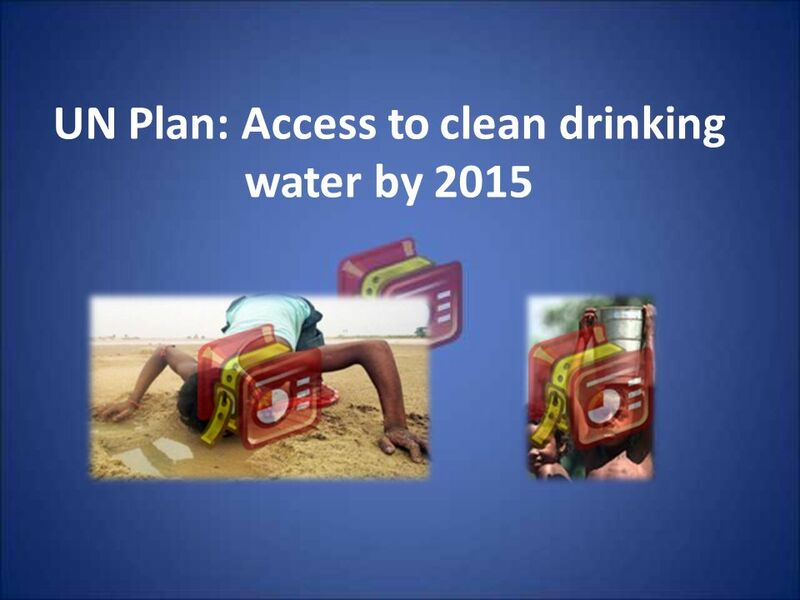 Download ppt "UN Plan: Access to clean drinking water by 2015. 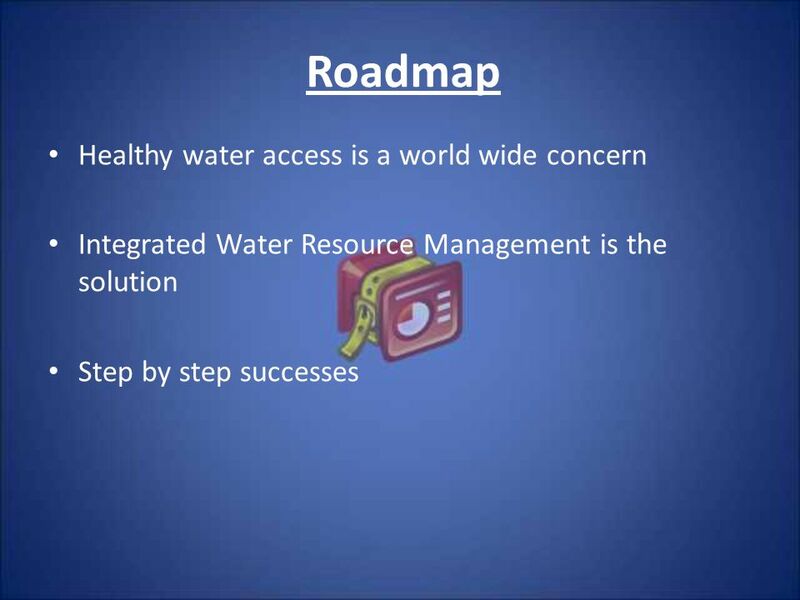 Roadmap Healthy water access is a world wide concern Integrated Water Resource Management is the solution." Warm up Problems 1.If, find f (x). 2.If, find f (x). 3.Given the graph of f (x), find all intervals where f (x) is increasing. Child Survival A global overview ACSD WCAR April 2007. Water By Catriona, Catherine and Emma. What are the problems? 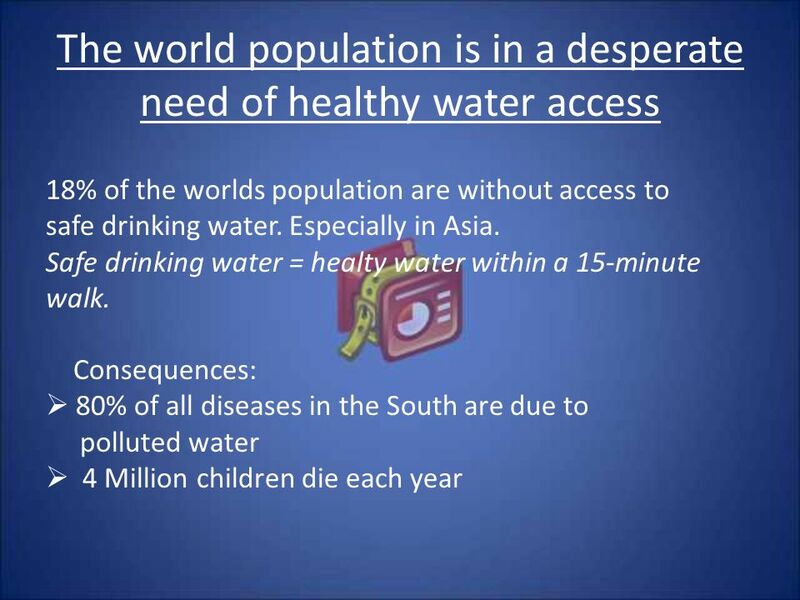 There are countries in the world that have got serious problems with their water. In some. Preparatory Discussions on Promoting Ship Recycling through the Global Programme Dhaka, 13 January 2008 Developments in Europe: The European Commissions. Reducing Child Mortality: Focusing on Equity Kim Mulholland. What is the Global Water Challenge? Laura Keating Global Strategy Institute Center for Strategic and International Studies March 23, 2007.